Search "early music" 1 result has been found. 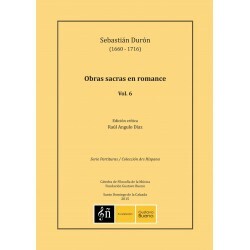 Sebastián Durón (1660-1716), Sacred works in Romance language Vol. 6, Ars Hispana, Oviedo, 2015, 235 pp.